The foods you choose have a huge impact on the way you feel. And even apart from bikini season, dealing with a bloated, distended belly is just plain uncomfortable. ■ Mix all the ingredients in a blender. Better if you have a powerful juicer. ■ Add a little water as needed. ■ Drink on an empty stomach if necessary. Pineapple contains enzymes that help digestion. Celery contains so much water that it helps remove excess salt from your system, in turn helping to prevent water retention and thereby helping to reduce bloating. Fennel and ginger affect the renewal of intestinal flora. 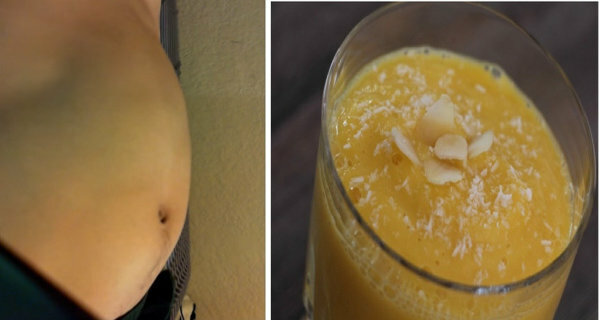 The combination that you need to eliminate bloated stomach and digestive problems.